This is my youngest daughter Kira wearing a wreath of poppy flowers made out of ribbon. I love poppies. They are so Ukrainian. You can find them growing on your fields or on the sides of the roads. 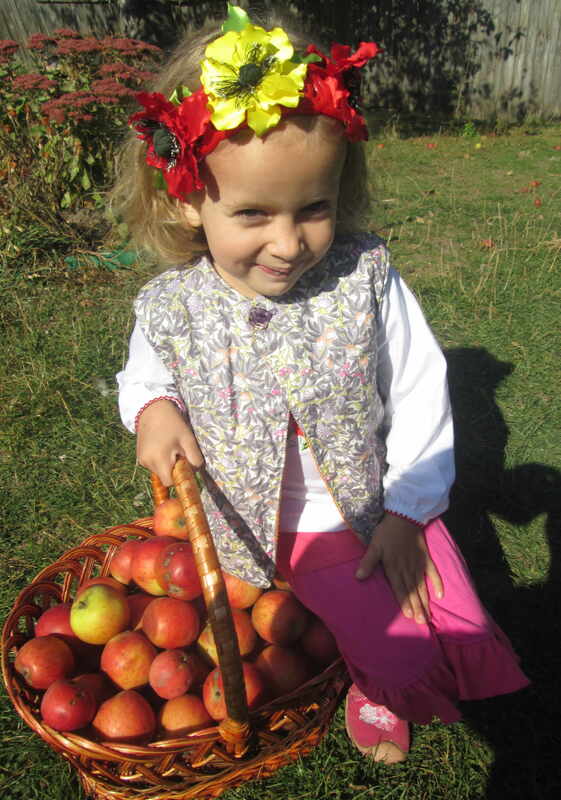 We had our apple harvest day at home. She just loves wearing poppies and I do too. It works just well at a purse clip, hair clip or scarf clip for me. I make these out of silk like ribbons and the heart of the flower is all handcrafted after the old “grandma” fashion. When I first discovered how to craft those tiny black threads with white ends I was much surprised. But they do make poppies look so natural. 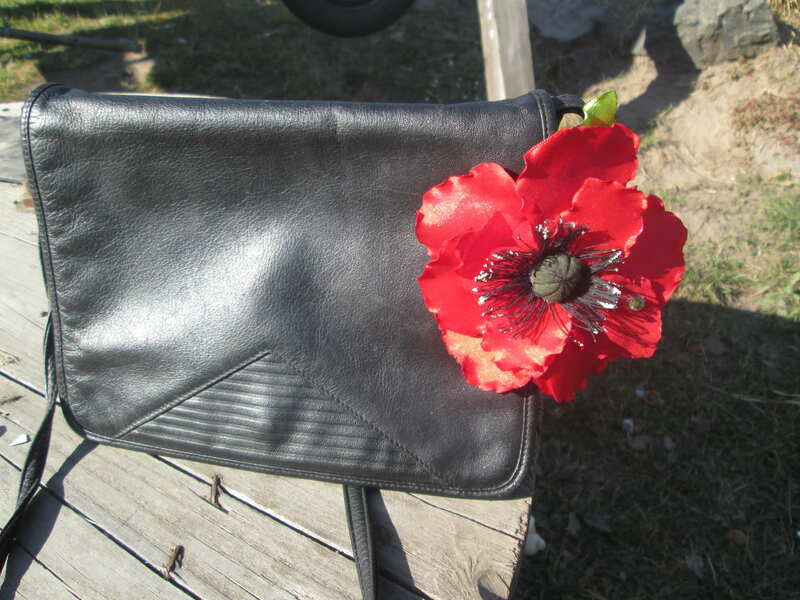 Visit my Etsy shop or write me today to get your poppy fower clip or wreath. This entry was posted in Uncategorized and tagged DIY flower broch, fabric flowers, fabric poppy clip, flower brooch, flower pin, hair clip, handmade flower. Bookmark the permalink.